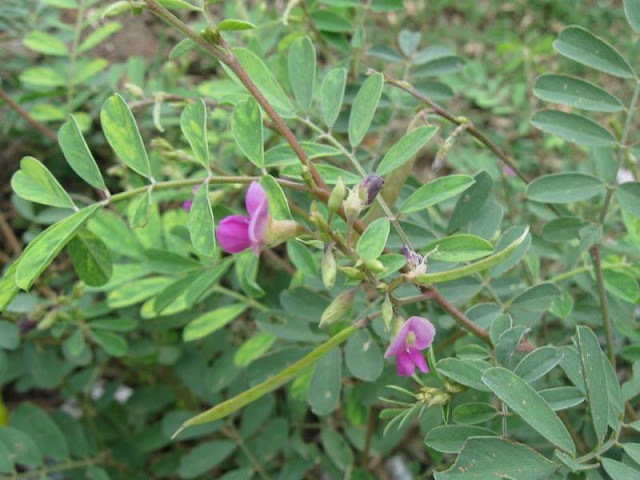 Botanical Name—Tephrosia purpurea (Linn.) Pers. Hindi-Saraphonkha; English- Wild Indigo or Purple tephrosia; Telugu-Vempali chettu; Bengali- Ban Neela; Marathi- Unhali; Gujrati & Punjabi- Sarpankho; Tamil—Kolingi; Malayalam- Katamiri,kozhighil; Kannada-Egyali. Introduction— Sarapunkha is not found in the vedic literature as well as in Caraka Sambita. Only references are traceable from the works of Suruta and Vagbhata it used in the management of Plihödara (splenomegaly). If You need complete details with pictures please buy our CD Rom.